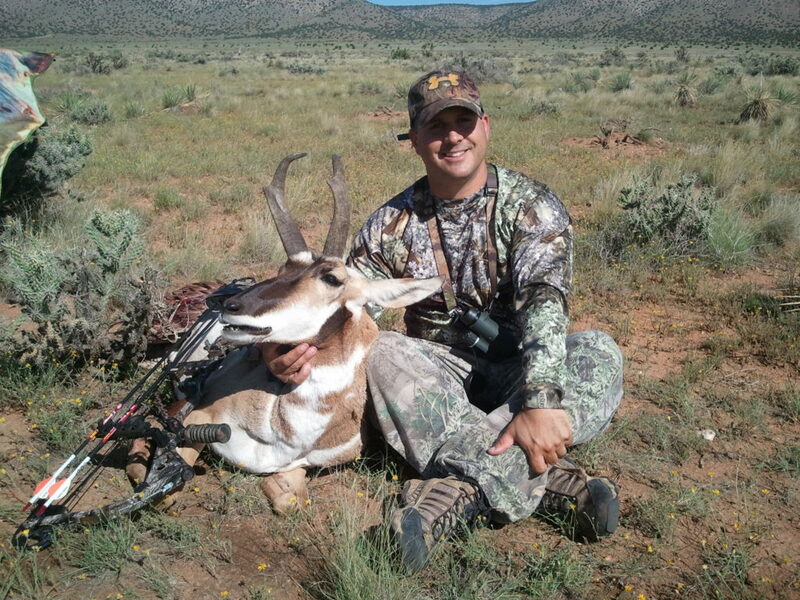 In 2011, I drew an Arizona Unit 10 archery pronghorn antelope tag. I had zero experience hunting the speed goat with a bow and only about 12 hours of experience while hunting with a rifle years back. As I faced the realization that I drew this tag, I made the conscious decision that I would do as much as I could to build and refine my long range shooting capabilities. Practicing shooting was one element I could control. At the time, I was lucky enough to live on a property that allowed a 100 yard shooting range. For the 1st month, I shot every morning and most evenings to get “in shooting shape.” I shot all different ranges, different arrows, and two different bows. Mostly from a front angle at the same block style target from well-rounded distances – 20, 30, 40, 50, 60, 70, 80, 90, and 100 yards. 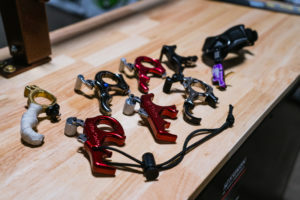 By the 2nd month, I knew which bow and arrows I was going to use, I was pretty comfortable with my sights and draw weight, and I was ready to step it up. It was now time to really start the shift to ‘hunting’ shooting practice. For example, I wanted to learn what my bow did at 56 yards, 74 yards, 85 yards, 8 yards. All the random yardages. I also wanted to know the trajectory of my arrow better in case I encountered bushes or cactus. Also, we all know, drawing and releasing your bow can come in all different types of forms and timing- maybe you are kneeling, maybe you need to hold the draw a long time, maybe you need to draw behind a bush and sneak out for a shot, maybe you need to let down and redraw, maybe you’re on a hill. The possibilities are endless. I bought an antelope decoy so that I was really focused on the anatomy and could shoot from all different angles and understand those that didn’t work for me. I also brought the decoy to hilly areas to shoot down and up on it. For a couple months, I practiced all sorts of odd shooting positions and shooting through holes in bushes at a quartered target. I was really prepared for long shots, short shots, and many different positions. As the hunt came closer, I started shooting a handful of arrows each morning. 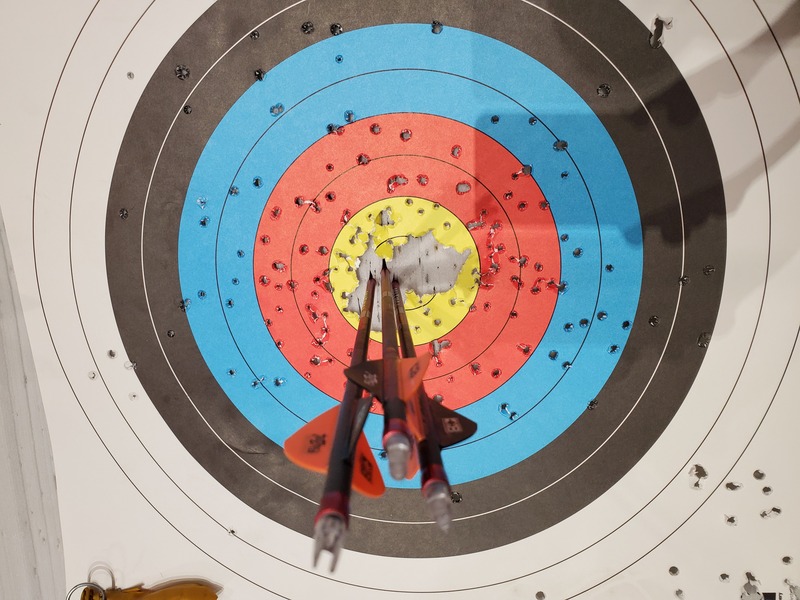 In the evening I’d walk out on my range with 1 arrow and set up a very hard shot. Maybe it was a 93 yarder over a bush, maybe it was a kneeling shot on an off camber spot from 45 yards. But, I had to make that one shot count. The reality is, you don’t often get a 2nd shot, but very rarely a 3rd shot. You’ve got to make the 1st shot count!!! 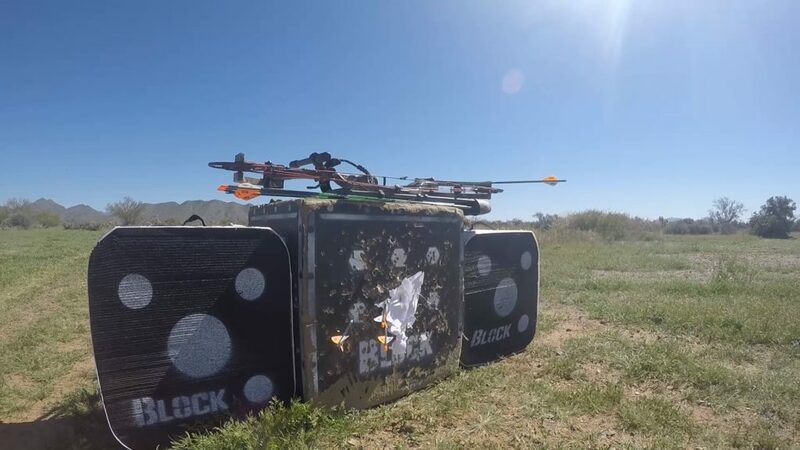 It all paid off and when a long range shot presented itself, I was able to fill my tag. Fast forward to the past couple years. I’ve gotten significantly better at finding decent mule deer and coues deer bucks and getting close to them, yet I have not tagged one. When I get really honest with myself and ask why I haven’t tagged them, one very strong component is that I am not as prepared as a shooter as I was for that antelope hunt. Bottomline: I have not been shooting enough to be prepared for the true reality of the situation when I’ve worked hard to create an opportunity. Sure, if a deer happens to walk out at the right time and is broadside or quartered away on flat ground, I’ve got a good chance of making the shot. If I need to hold a draw, or let down and redraw, or kneel and shoot; I’m prepared better than many. But, I’m referring to that situation that requires total autopilot to kick in and training, experience, and know-how to just takeover. 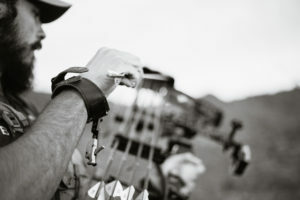 For example, the instincts fire to range the animal- 46 yards, find the right stance on the uneven ground, draw the bow, aim through the gap in the branches just in front and over a bush closer to the animal, set the pin where it needs to be for 46 yards on an animal quartered at a certain angle on a slight hill, compensate for a steady crosswind, and make a consistent release when appropriate. This was reinforced within me this past December when I was chatting online with Dan and Dave Acosta. I learn a lot from them just through simple interactions and short chats. These guys are the most consistent tag fillers I know, so I like to connect with them during hunting seasons to keep me motivated. During this chat, it was reinforced within me that these guys shoot a lot. They are very strong 3D shooting competitors and hunters and it shows in the track record and ability to seal the deal. 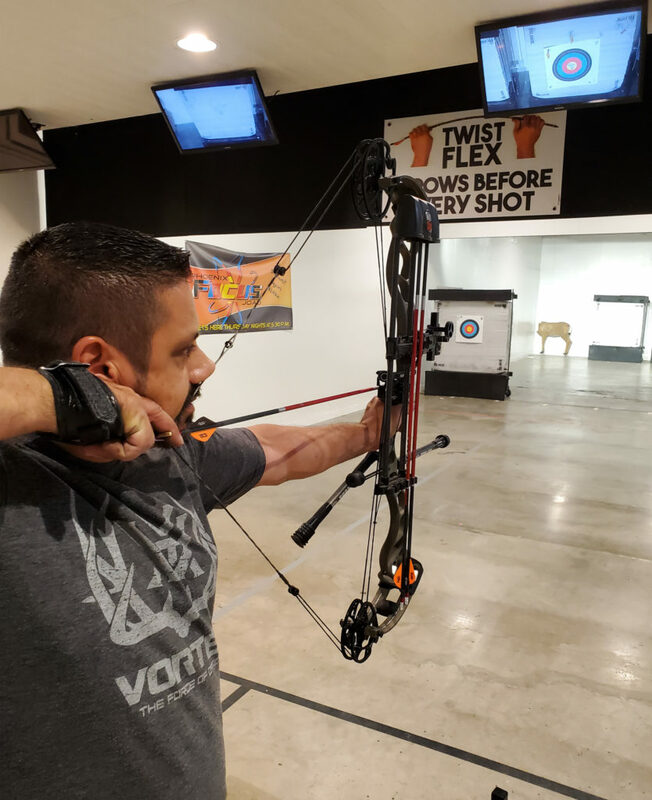 Like I said, I can find animals and get close, but when I ask myself, “Seriously, are you shooting your bow enough?” The answer is “no.” Not enough to expect to be as good as the Acostas. It’s just foolishness think otherwise. I’m prepared better than many out there, but if I want to be better, shooting is where I need to spend my time.